UPGRADE YOUR TEA EXPERIENCE & MENU NOW. 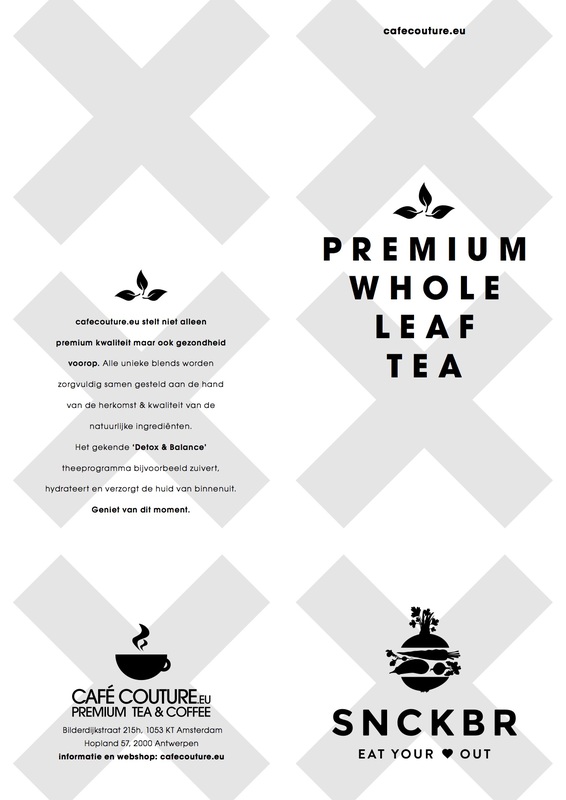 We customized the tea menu for Amsterdam 'place to be' concept SNCKBR. One of Amsterdam's trendy hotspots SNCKBR will open it's second location in a couple of weeks. We created their new customized Tea card. 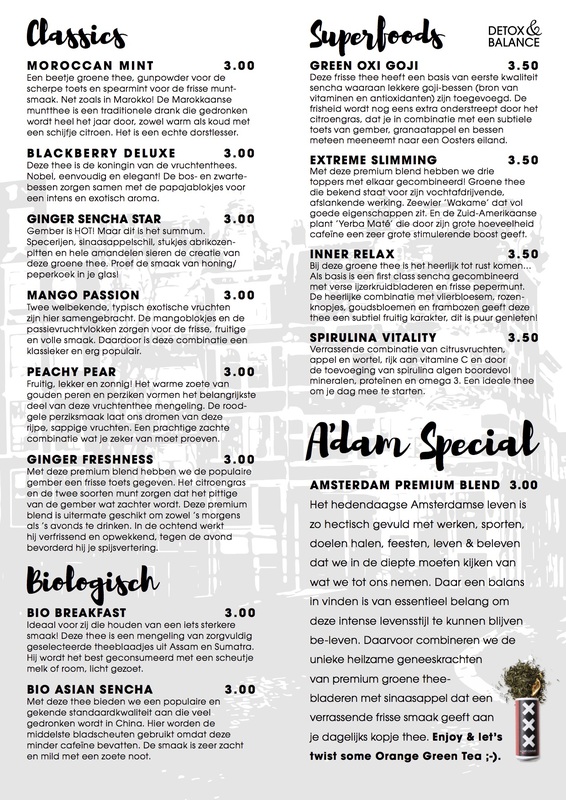 They will be the first to serve the unique Amsterdam Green Tea Blend. Therefor a touch of Amsterdam! Feel free to contact us if you want to upgrade your Tea Experience.